Artistic angles. 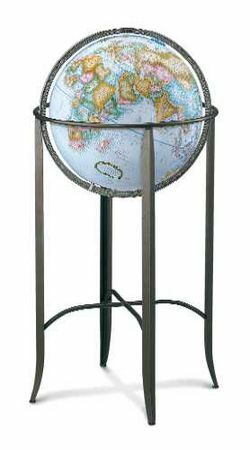 The progressive design of this angled metal floor stand with 16" diameter blue ocean globe and pewter finished die-cast meridian gives this model an air of sophistication. Manager's favorite world globe!